Offer [Mayor] Cregier a bonus over his salary for the rest of his term to give up the job and let some 11-year-old schoolboy run the Mayor’s office. The Mayor needs a rest; the boy would do better. I would use my best endeavors to abate some of the nuisances, especially the outrageous stenches and the black clouds of soot and smoke that constantly hang like a pall over the city, enveloping and disfiguring everybody and everything. 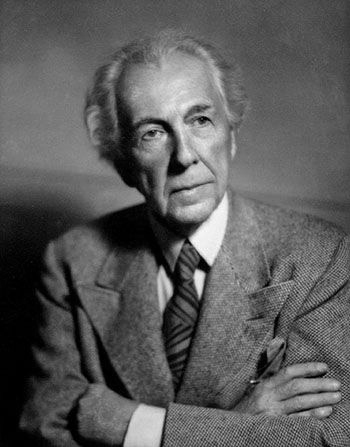 By such expenditure of my money I would feel sure that I had benefited the entire population and millions of visitors, as well as the City of Chicago. – H. N. Blood, Rockford, Ill.
Every year I would pay whatever I was honestly and proportionally entitled to pay in the way of State, county, city, and personal taxes, which is something men rarely do when they become worth the above-named sum, preferring rather to represent themselves as being worth about $687.60 and paying taxes in proportion to that amount, thereby cheating the city out of thousands of dollars every year. In this way I would be doing for the city a rare and unusual thing, and one which would be appreciated by all decent citizens, though amounting to nothing more than paying my honest bill. – E. J. W.
I would quit Chicago before the 1stof April not to be compelled to breathe the same air with the nominated boodle candidates for city representatives. – C. H.
March 30, 1902 – The Chicago Daily Tribune runs a feature on two men, Charles Erickson and John Axelson, who are responsible for switching 3,222 streetcars each day, “the hundreds of cable trains that crawl out of the La Salle street tunnel every day and follow one another in rapid succession into different sections of the North Side traversed by the cable system.” [Chicago Daily Tribune, March 1902] Each man works nine hours on a job that “must be done no matter what the condition of the weather may be, and it must be done without the protection of shelter of any sort. 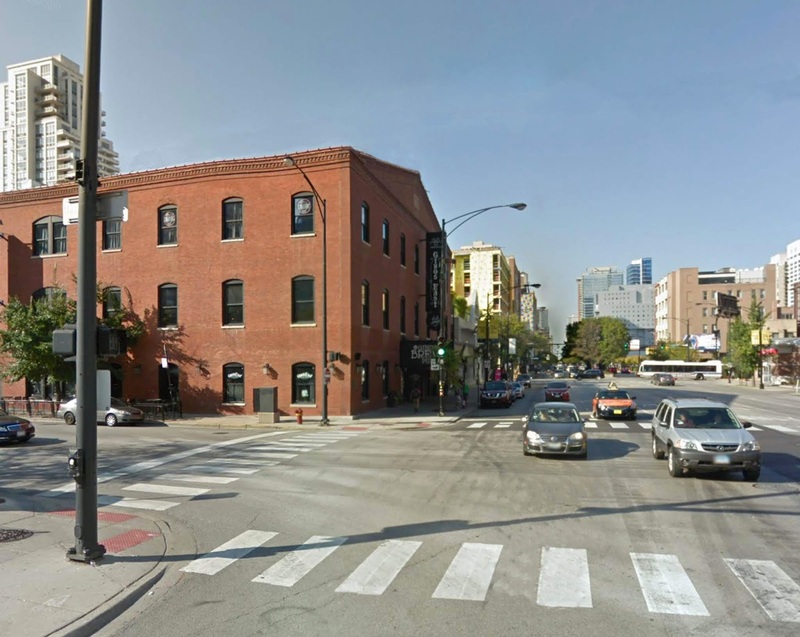 In winter and summer, when it is cold and when it is hot, when it rains and when the sun shines ….” The job entails making certain that cars running in Wells Street and Clark Street get around the curve at LaSalle Street and Illinois Street. The key to the operation is the mouth of the LaSalle Street tunnel where as soon as the switchman “sees the sign on the top he knows how to set his switches.” There is virtually no time during the nine-hour shift when a train is not rounding the curve. Erickson says, “It’s not such hard work, but you have to keep your eyes open and your hands busy. In winter it is harder than in summer, because the switches freeze and cannot be handled so easily as in warm weather … The first car from the barns in the morning reaches the curve at 5:45 o’clock, and the last one at night passes here at 12;50. Between those hours there is scarcely a minute that the man on duty is not busy with the switch.” The first cable car in the city ran at 2:30 p.m. on January 28, 1882, and the last one arrived at the Twenty-First Street powerhouse on October 21, 1906. At the turn of the century Chicago had the second largest cable car system of any city in the nation, which would morph into the largest streetcar system in the world in the ensuing decades. 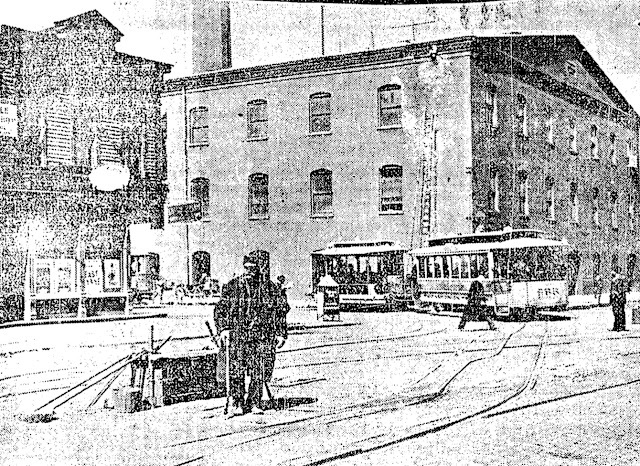 Note that the building behind the switchman in the 1902 Tribune feature still stands today at 500 North LaSalle Street. It is the old powerhouse for the La Salle Street cable cars. March 30, 1853 – The Chicago Daily Tribune reports on a court case that will continue to have an impact on the city for well over a century. The case involves a suit which James H. Collins files against the Illinois Central Railroad Company, in which Collins attempts to enjoin the railroad from running its tracks “in the lake at some distance from the shore.” [Chicago Daily Tribune, March 30, 1853] The nut of the case is that the railroad, by constructing tracks off shore, will impact the value of privately held property along the lake. 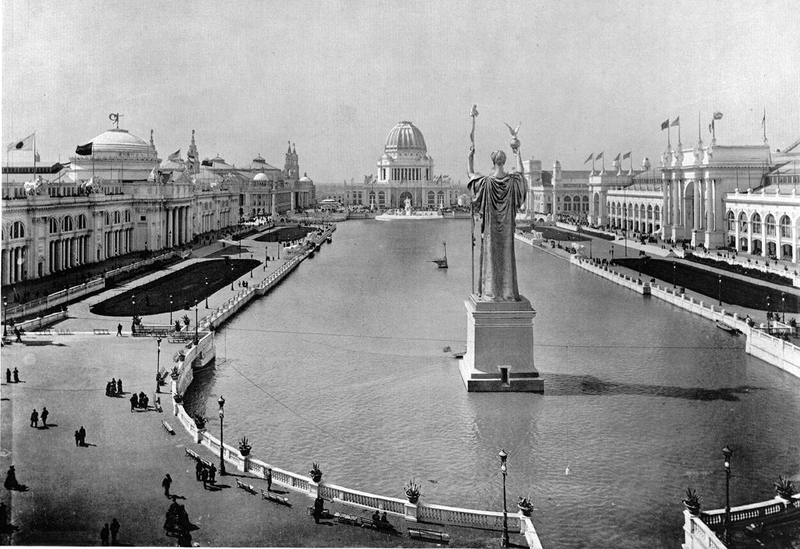 The attorney for Collins, John M. Wilson, argues that “the State has the right to use the waters of the Lake for all public purposes,” but that “the State cannot give the company this power.” The attorney for the railroad argues that “the Legislature of the State of Illinois has passed a law giving to the Illinois Central Railroad Company so much of the lands belonging to the State as they may pass through and as may be necessary for the laying of the track and the construction of depots.” As the day drags on, a lawyer for Collins says, “It is a conceded point, that if the complainants are the owners of property where the Company proposes to locate their road, that property cannot be taken, except by legal measures, and not then unless due compensation is made … This Company seeks with the strong arm of power to take this property and these advantages, without compensating the owners … There is no authority to sustain the position that one owning land upon a body of water can be cut off from the water and its attendant advantages, without compensation.” In a January, 1951 article the Chicago Tribune made an interesting point about the transaction that came following the Collins vs. I.C. case, “The Illinois Central did not ask for its lake front tracksite. That was assigned to it by the city. The lake at that time came right up to Michigan av. I. C. historians assert the city decided it would be a nice thing to have a railroad between itself and the open lake, and stuck the Illinois Central out there for protection.” In any event, the railroad got the land, built a trestle, and occupied prime lakefront real estate for a century or more, sparring with the city over its position on lakefront land for most of that time. The above photo shows the train that carried the body of Abraham Lincoln to the city as it moves along the lakefront trestle in 1865.